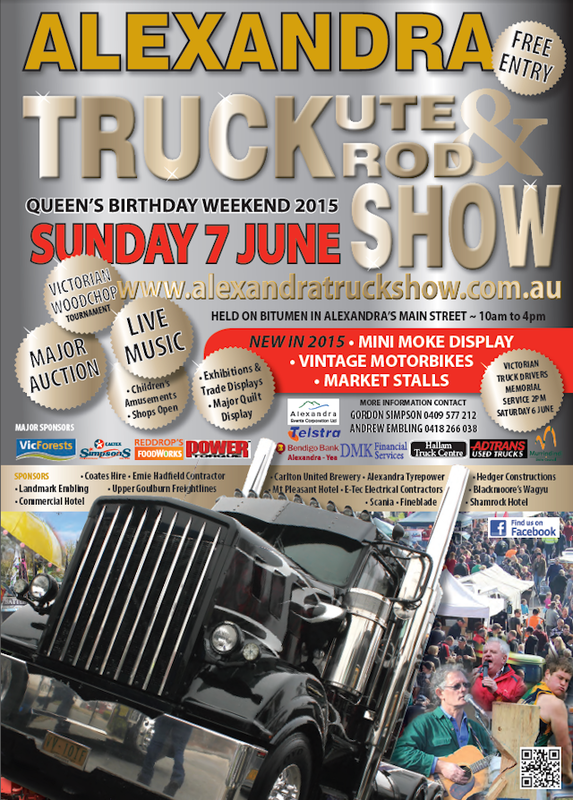 The 19th annual Alexandra Truck Ute & Rod Show will be held again over the QueenÃ¢â‚¬â„¢s Birthday Weekend featuring Sunday 7 June as the major day for the free public event. 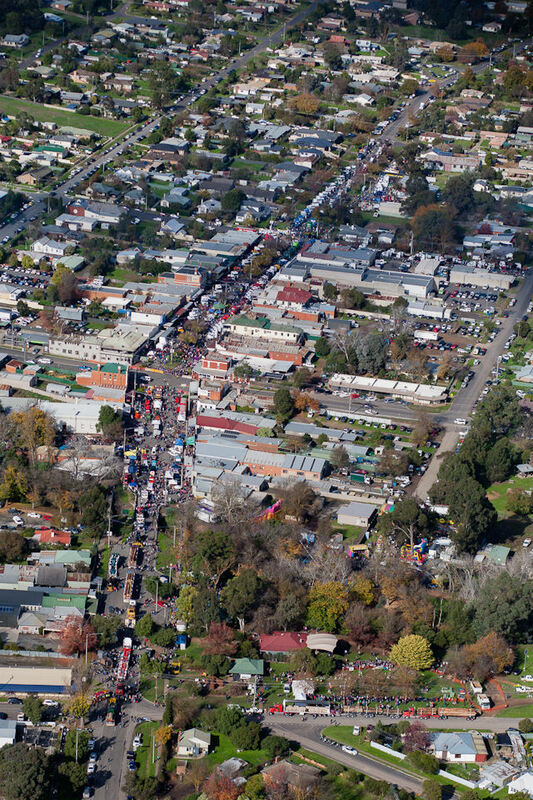 Held on the bitumen of the Upper Goulburn township of AlexandraÃ¢â‚¬â„¢s main Grant Street, a crowd of often 12 or 15,000 people attend for a great family day out. Featuring several hundred vehicles on show from prize winning giant highway trucks, to restored and vintage vehicles of all types, the Alexandra Truck Ute & Rod Show is complemented by a full day program. 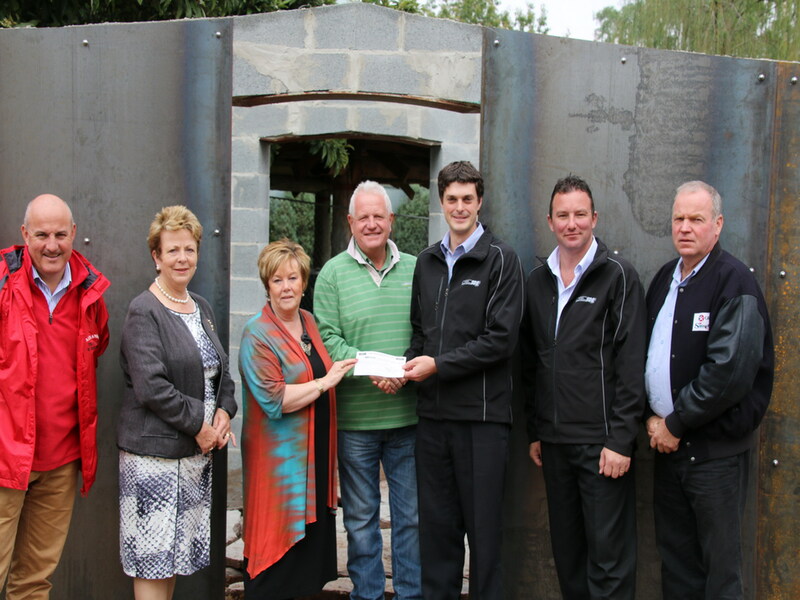 The Show display always takes up two or more kilometres in length along Grant and adjoining streets with numerous food offers provided by local community, sporting and support organisations as their fund raiser for the year. Show spokesman Andrew Embling says each year his Committee adds to the program with new events and features that make an annual family visit to the event a memorable experience. Ã¢â‚¬Å“Our new features this year will include a Mini Moke display where we already have twenty five entries booked of this enduringly popular vehicle of which 60,000 units were produced as a Ã¢â‚¬Ëœfun machineÃ¢â‚¬â„¢ by the British Motor Corporation in the UK, Australia (where 26,000 were built) and in Portugal. 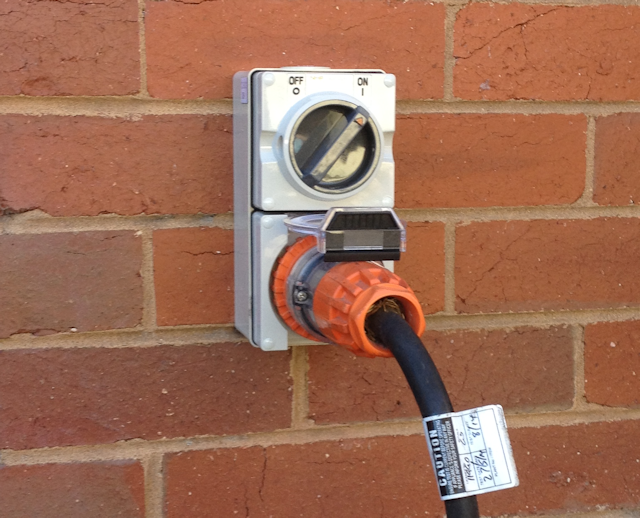 Ã¢â‚¬Å“We have a couple of Moke enthusiasts in the local area who will be bringing their units along plus we are attracting others from throughout Victoria and even interstate, to make it a very comprehensive line up of what is still a popular vehicle. Ã¢â‚¬Å“Another new display will be of vintage motor bikes from the earliest versions up to say the 1960 models and again we have strong enquiry from restorers and enthusiasts wanting to add their bikes to the displayÃ¢â‚¬Â. Proving that there will be attractions for all members of the family there will be a special Market Stall area to display high quality crafts, home wares and food products. Located at the western end of the Show this display will adjoin the historic Dove Cottage building and looks likely to have about 40 stall holders. The major Quilt Display staged by the Alexandra Quilters in the Alexandra Shire Hall on Grant Street is always popular and will have another record number of handmade quilts on show. Always a popular crowd pleaser is the annual Victorian Woodchop Championship with this year two major titles to be decided that will attract Victorian and interstate axemen. The championships are the impressive Tree Climb event and the Standing Block competition. Another regular Show feature is the public Auction on Sunday afternoon in the main stage area with an expected 60 to 80 lots of goods often with a transport, trucking or home use theme will be open to bids and there are always bargains to be had. The Show Committee is also offering a major Raffle with household goods valued at $10,500 as the impressive first prize. Filling an 8 by 5 trailer the goods to be won will include a large sized colour television, a 245 litre capacity Belu refrigerator, Blu-ray player, sound system for a home theatre, a Simpson washing machine, Stihl Yard Boss chain saw and brush trimmer and a Masport motor mower. Available for purchase on the Sunday Raffle tickets are only $5 each and the draw will take place at 4.15 pm on the Sunday afternoon. Second prize is a $2,000 Caltex fuel voucher with the owner of the third ticket drawn to receive a $1,000 Foodworks supermarket voucher. Live music from the stage in Grant Street is always a Show feature and the keynote acts this year will include the Screaming Eagles with TV personality Jeff Cox Ã¢â‚¬ËœCoxyÃ¢â‚¬â„¢ featuring on the drums. They will be joined by the Ruckus country rock band and other emerging local musical talent. 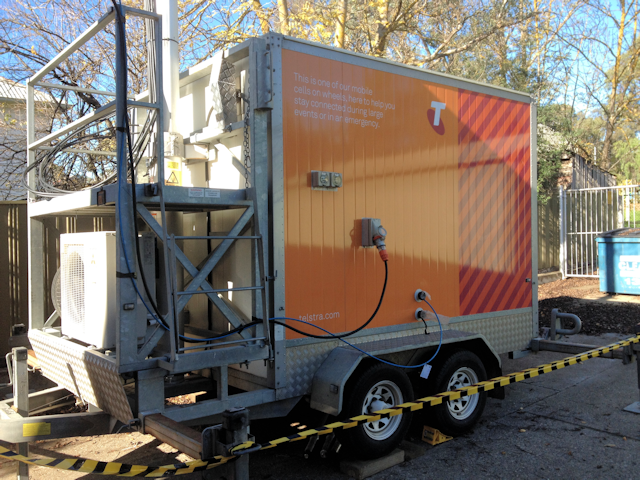 Another key display site will feature the most modern support and service vehicles introduced to the fleets of groups like the CFA, SES and State Government departments. Some of these were used in the recent prolonged and successful search for young Luke Shambrook lost in the nearby Fraser National Park. Preceding the Sunday Show on the Saturday afternoon at 2 pm in Rotary Park on Grant Street the commemoration service will be held at the Victorian Truck Drivers Memorial. Established last year to record, honour and remember those drivers who lost their lives in trucking or transport related accidents the Memorial has become a popular gathering place for reflection by their families and friends. The names of another 40 drivers who have passed away in recent years will be added to the memorial this year. The service to remember them will be led by the Rev Graham Brown of the Alexandra Anglican Church. Liz Martin the executive director of the national transport hall of fame in Alice Springs who keenly supported the Alexandra Memorial is also expected to attend along with other transport industry support personnel. 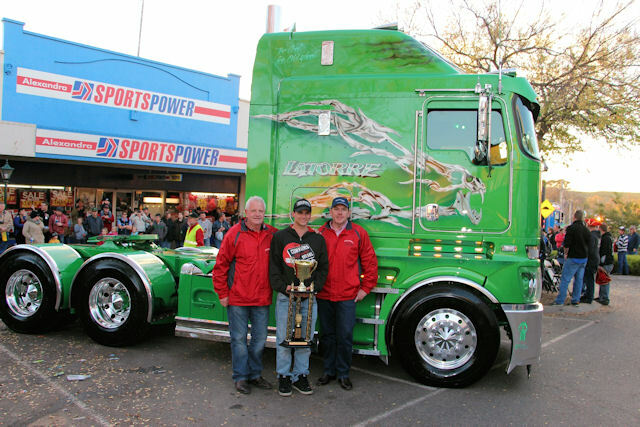 Andrew Embling says Ã¢â‚¬Å“over the last eighteen years the Alexandra Truck Ute & Rod Show has grown to become a major transport industry and community event. Ã¢â‚¬Å“With no attendance charge, plenty of parking around the Alexandra township we simply invite everyone interested in a great days outing to come long and walk amongst our exhibits, features and demonstrations. Ã¢â‚¬Å“Quite simply there is something for everyone from the vehicle enthusiast, admirer or restorer, to mums and dads and of course there is everything for the young from music to sideshows to the popular animal farm for the littliesÃ¢â‚¬â„¢ Andrew Embling says. For more information see www.alexandratruckshow.com.au or for interview or enquiries about participating call Andrew Embling on 0418 266 038 or Gordon Simpson on 0409 577 212. The 19th annual Alexandra Truck Ute & Rod Show held annually on the Labour Day weekend has grown into one of VictoriaÃ¢â‚¬â„¢s free, major public events. 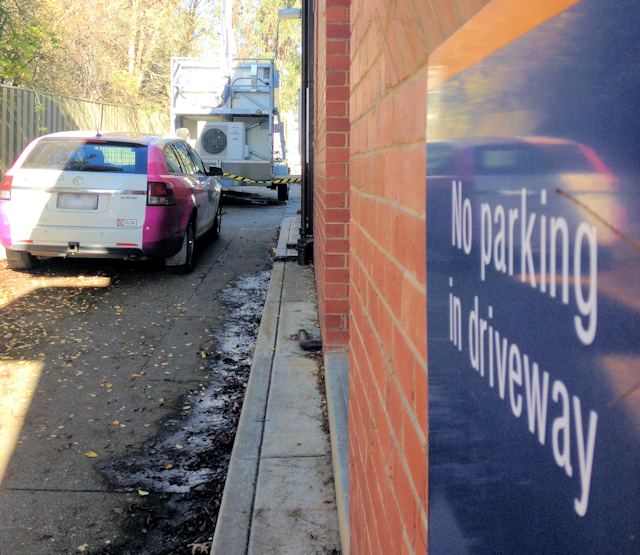 Sunday 7 June will see hundreds of vehicles of all types and ages from giant highway trucks to vintage mobile equipment on show with a huge supporting program over several kilometres of length in AlexandraÃ¢â‚¬â„¢s main bitumen Grant Street. ItÃ¢â‚¬â„¢s an event that is designed to appeal to all ages and the Alexandra community invites everyone to come to their town for a great days outing. I Can See My Truck From Here! What a sensational image of the thousands of happy punters at the 2014 Alexandra Truck Ute & Rod Show. Looking forward to the 2015 Show on the June Queen’s Birthday weekend. The Quilters will again have all their work on show in the Alexandra Shire Hall with their display available from 2 pm on Saturday afternoon and all day Sunday. Admission to the display is only a $2 coin and visitors also gain a complimentary entry to judge what they consider to be the best quilt of the show. There is also the opportunity to buy a raffle ticket with the prize being one of the amazing high quality, colourful and handmade local quilts. 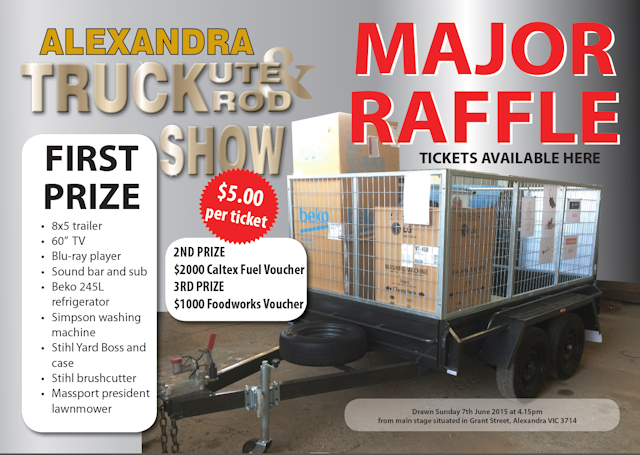 Tickets are only $2 and the funds raised in the raffle will be provided this year to support the Alexandra Playgroup. This will maintain the long tradition of the Alexandra Quilters in supporting worthy community organisations by donations of the funds raised by their display. Quilting is a traditional craft which is actively supported in many communities. It is often associated with the Amish community of the USA although there are numerous variations in many other parts of the world. The Alexandra Quilters group has over forty members who participate in their teaching lessons and exchange of ideas. Denise Fiddes secretary of the group says that a quilt can often involve one hundred hours of more of time input from the sourcing of the materials to the detail involved in stitching the final quilt together. She says there are very few towns in Victoria that are without an active quilters group. 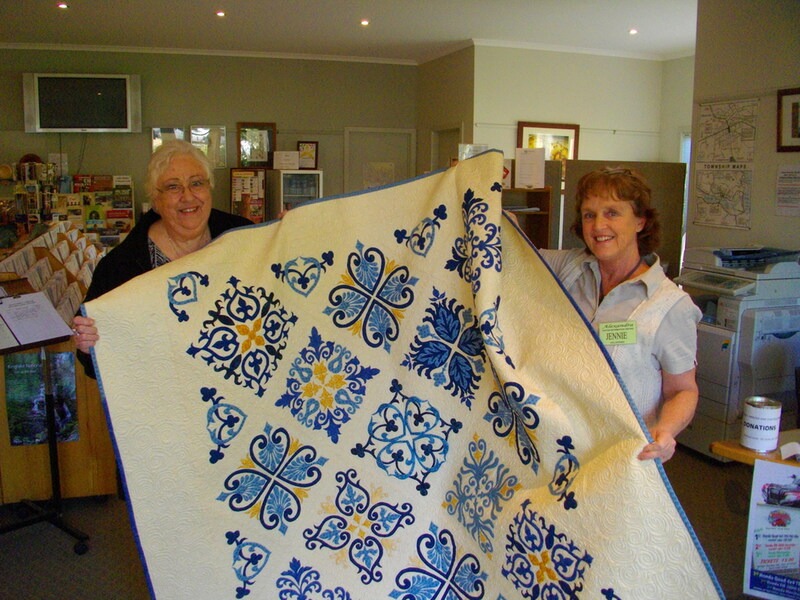 Ã¢â‚¬Å“We recently travelled as a group to Castlemaine to see the work that their local quilters group is doing and to swap ideas. Ã¢â‚¬Å“Quilting provides a lot of enjoyment, relaxation, even therapy to for a lot of people. Ã¢â‚¬Å“And quilting has a great tradition in many societies and is clearly a very active interest in many other countriesÃ¢â‚¬Â. It looks like possibly sixty locally handcrafted quilts will be on display in the Alexandra Shire Hall as a feature event associated with the Alexandra Truck Ute & Rod Show. Denise Fiddes (left) with Jennie de Frietas of the Alexandra Quilters group with one of the beautifully designed and hand crafted quilts that can be viewed in the expanded display on Saturday afternoon and all day Sunday of the Truck Ute & Rod Show. The display in the Shire Hall on Saturday afternoon and all day on Sunday will be one of the biggest ever with a $2 gold coin for entry and a vote in judging the best quilt of the show. Funds raised in the $2 raffle for a beautiful quit will go this year to the Alexandra Playgroup. 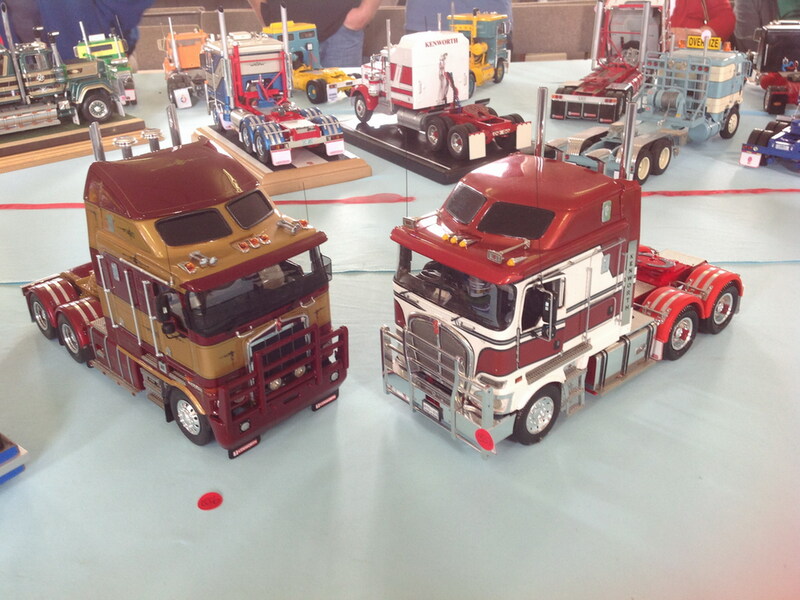 A major display of truck models and the components used by collectors and modelers will be a new feature of this year’s Alexandra Truck Ute & Rod Show. The display is being organised by Nagambie based Nigel Lowe whose business Auslowe Model Accessories is a major source of hobbyist supplies to this expanding interest group. Truck model collectors are an international community with a strong hobbyist community in Europe and the USA. The interest is based around one twenty fourth scale plastic models which are manufactured to reflect all the major truck brands. Hobbyists and collectors then add all the colours, extra components and finishes like decals that bring their truck model up to their desired presentation. Often the approach is to Australianise their models rather than to show how the models might look on European roads. 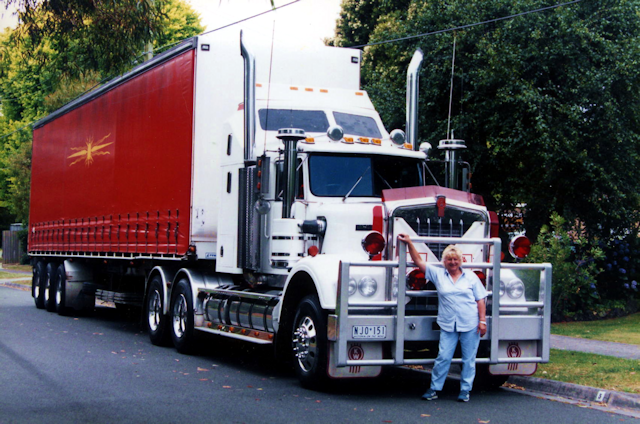 Nigel Lowe says that the interest in Australia reflects all the popular truck brands that you see on the highway with Kenworth truck models probably the most popular amongst hobbyists. Nigel will have all on his products on display and available for sale, together with a major display of completed truck models from his own substantial collection and made by other hobby collectors. 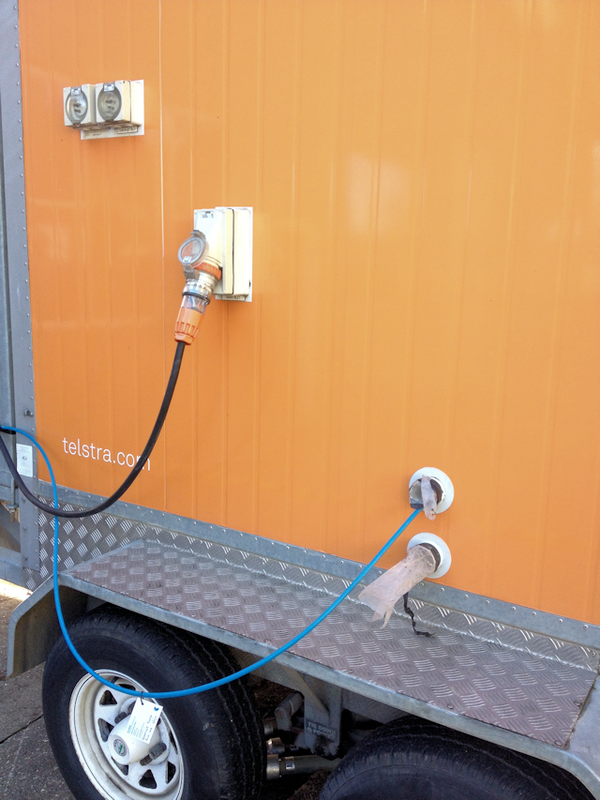 His display at the Alexandra Truck Ute & rod Show will be worth looking out for. All the models and component displays will be set up in the undercover driveway of the Landmark Embling store at 54 Grant Street. Interested collectors can also see more information at his website www.auslowe.com.au or by calling Nigel on 03 5794 7338. Amongst hobbyist collectors and truck model makers Kenworth trucks rate amongst the most popular. There is a growing international community of model makers who create their own colour schemes and accessories to finish their plastic truck kits which are generally built at the international model scale of one twenty fourth of the real size.